I imitated family photographs that are mostly taken during family celebrations when the family is together in its living room. These photographs were taken when the children temporary returned from the children’s homes to pay a visit to their parents. 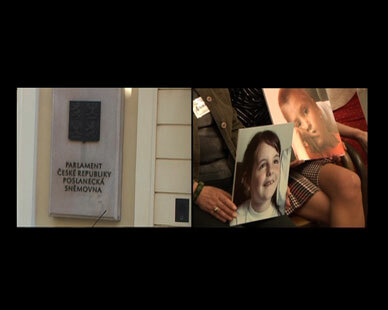 Part of this work was a happening in the Czech Parliament where the parents removed the faces of their children from the photographs and ostentatiously posed with the photos together with the politicians. 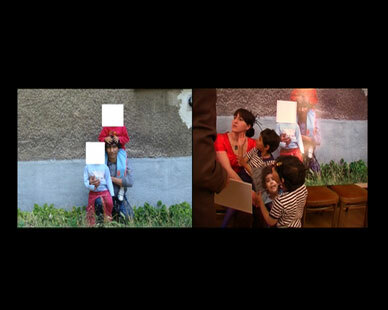 All around the world, families struck by various tragedies often demonstrate holding photographs of their children. 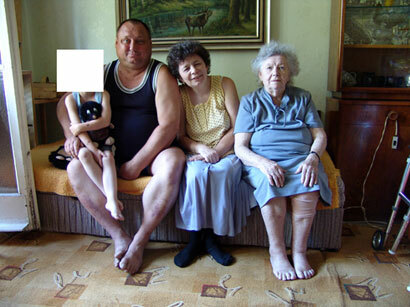 These images are often cut out and enlarged from family photos. 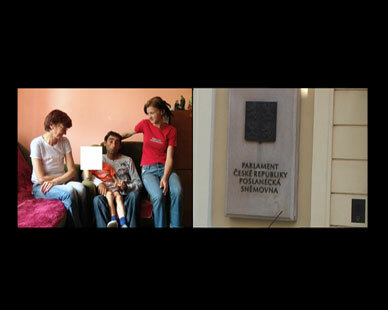 Project Family Happiness comments on the problematic practice of withdrawal of children from socially handicapped (predominantly Roma) families and their placing in state child care institutions. 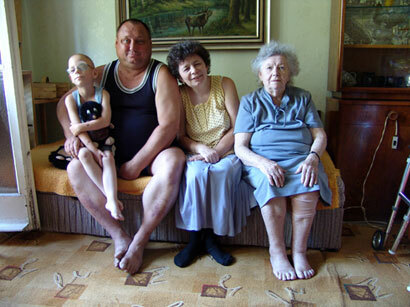 This practice is widespread in the Czech Republic in spite of overwhelming evidence that this procedure leads to total collapse within the family, the disruption of emotional ties of the children, and severe problems in their personal socialization throughout their lives. The number of children growing up in the anonymous and pathological environment of institutional child care in the Czech Republic is alarming (60 out of each 10 000 children under the age of 3). Currently more than a half of the number of children placed in state institutions are positioned there on the premises of problematic economical situation within their families and another third because of their health problems. 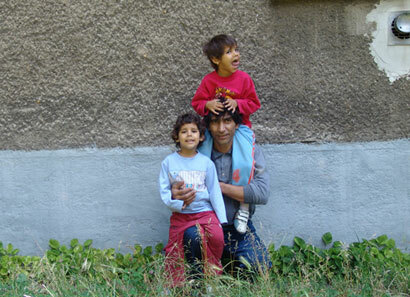 A large number of children placed in child care institutions is of Roma origin. 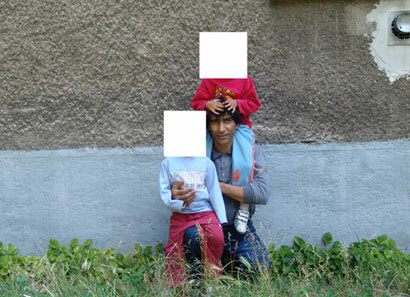 Mostly they are not orphans or victims of violence or abuse but children from poor families. These children become “hostages” of the state power. Family Happiness is a campaign organized by the NGO Life Together as a part of their ongoing project “Prevention of Forced Removal of Roma Children From Their Families to the Institutional Care Through Support of Families and Dialogue with State Institutions” The project was supported by European Committee – the program Daphne II. Life Together association has been involved in the project of prevention of the removal of children from socially weak families and their placement into institutional care. Apart from the fieldwork, the NGO concentrates on spreading information on the problem and offers free legal aid to their clients. The campaign aims at dissemination of information on the topic. It is addressed to expert as well as laymen public and seeks to provoke a wide debate.